If you had to buy a daily driver tomorrow, what would it be? The everpresent "what would you buy" question. Here's the scenario: You wake up in the morning/leave work/exit the mall, only to see that your current commuter has been totaled by a meteorite. It is gone. Finished. Totaled. It's made its way to the auto wrecking yard in the sky (or perhaps it's not been so lucky!). Now, you need to buy a car, and you've got 24 hours to do so. You've got to replace it with the money the insurance company would likely give (or not give) you. 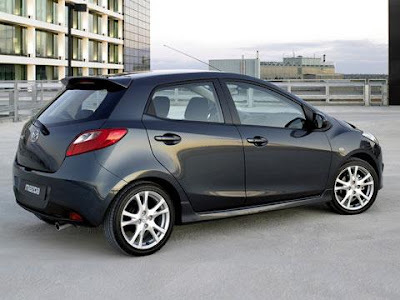 If the meteorite stuck my Yaris today, I'd likely go out and buy a 2011 Mazda2. It's affordable, frugal on the gas, entertaining to drive, and practical. It helps that I enjoy its looks, too. Naturally, I'll take a white one with a five speed and the Touring package. Then again, there's the "no car payment" option, too, I suppose. If I were to skip the car payment thing, I'd probaby find a used Yaris sedan, I might even look into used Scion xAs. So what would you get? New or used? Would you rebuy what you had, or switch it up? I'd probably go for a used Subaru Impreza WRX. I'm finding that AWD would be really helpful here in the 'Burgh. I like the Mazda 2 as well, it's a really stylish car. I like how they have dampening materials so it's a quieter ride. For used care I'd probably go Yaris or Ford Focus (Hatchback). New: Honda Fit or Hyundai Elantra. Used: Fit or Prius or Yaris. i'd take the fiesta over the mazda2, i think its a better car. that said, i'd probably get another SX4 if mine were to be crushed by a meteor. i'd want a black one. or possibly the ford focus st hatchback. Right NOW I'd probably take a serious look at the new Elantra. If it were to happen in a few months, I'd test drive the Veloster. Used would honestly depend on what's available at the time but an xA would definitely get on the list, so would any manual Fits and Focus hatchbacks on offer. God forbid something happen to my Ralliart I would look at a 2011 SX4 AWD Crossover. I don't think I would look anywhere else after all the car shopping I did and the lucky deal I got on the Ralliart it is Mitsubishi or Suzuki from here on out. If I looked at used I would look for a 2010 Suzuki SX4 AWD Crossover. I know so limited but hey its what I want. I really liked the Mazda 2 when I saw it at the show. The back seat was a little tight for my 6' frame but the 4 doors make getting in and out easy and the fit and finish was good.